The Round Mirror is a handy and compact mirror that allows you to take a quick look at yourself before attending that important meeting or to keep you looking your best throughout the day. Imprint your company’s logo and tagline on the casing, to skyrocket your brand’s image. Flip back the cover to access the compact mirror. It is available in solid: white, black or silver; translucent: blue, red, green or pink colors. 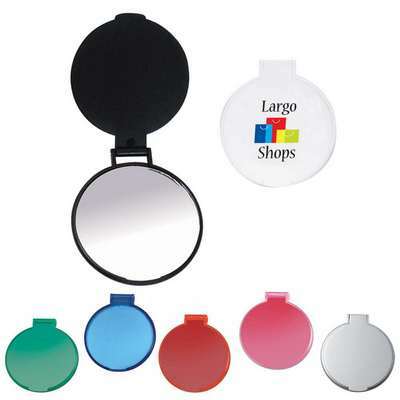 Giveaway the mirror at trade shows, job fairs, and offices and keep your customers looking their best. They will carry the mirror wherever they go, bringing great exposure for your brand.